Researchers at Tokyo Institute of Technology (Tokyo Tech) have developed a low-cost star tracker and Earth sensor that use deep learning to determine attitude in space. With no ground to distinguish directionality, the device constantly tracks multiple fixed stars to achieve high accuracy, while the Earth sensor performs attitude estimation based on images of the Earth. Both were installed on the Japan Aerospace Exploration Agency's (JAXA) Epsilon-4 rocket and launched on January 17, 2019 from the Uchinoura Space Center in Kagoshima Prefecture. Tokyo Tech said the star tracker is designed for use with micro-satellites in handling calibration observations, operation verification tests, and long-term performance monitoring during orbit. 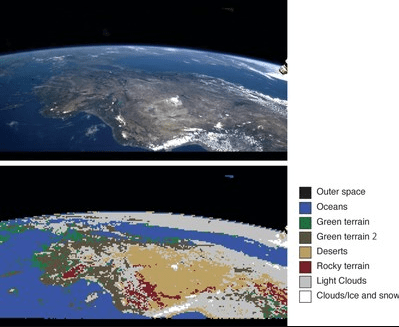 Meanwhile, embodying the concept of edge computing, the Earth camera performs image recognition while in orbit using a simple AI that identifies land use and vegetation distribution. Utilizing the acquired topography data, assessments can be conducted using a novel 3-axis attitude estimation method. Led by Assistant Professor Yoichi Yatsu, the Tokyo Tech research group said the Deep Learning Attitude Sensor (DLAS) was developed to demonstrate that a low-cost star tracker made from inexpensive, high-performance commercially available components can effectively operate in space. “The plan is to capture images of stars in orbit under various conditions to calibrate the sensor system and determine attitude based on novel algorithms, and demonstrate long-term operation with a test period of one year,” it said. The second goal is to conduct orbital testing of real-time image recognition using deep learning. “The Earth is photographed using two compact visible light cameras incorporated in the baffle of the star tracker. The 8-megapixel images taken are processed in about 4 seconds using a specially developed high-speed, lightweight image identification algorithm. Recognition of vegetation and land use is performed over nine categories, including green terrain, deserts, oceans, clouds, and outer space,” it said. “In orbit, more than 1,000 images are taken as learning data and transferred to the ground for use in satellite image application tests,” it added. The third goal is the application of this image identification technology, and the evaluation of the technologies for estimating 3-axis attitude using land features obscured by clouds and comparing it with map data prerecorded in the onboard computer. According to Tokyo Tech, astronomical observations from a space telescope require data processing programs such as high-accuracy attitude calculation based on the assumption of cosmic radiation removal, star image detection, star alignment pattern matching, noise contamination, etc., that can also be used as a star tracker, which is an attitude sensor for artificial satellites. Unfortunately, there is currently a lack of attitude system suppliers for nanosatellites in Japan. “Therefore, the research team has been developing actual equipment with a view toward commercialization of on-board component development,” it said. As work on DLAS progresses, various findings are being obtained that can only be learned through actual equipment development such as the star tracker design method, manufacturing techniques, test techniques, ground calibration tests, star matching algorithms, and embedded software. Commercialization of these findings will be actively promoted and is the ultimate goal. “Utilizing development knowledge and flight data from DLAS, the goal is to provide inexpensive but reliable satellite-mounted products to the market at an early stage,” Tokyo Tech said.